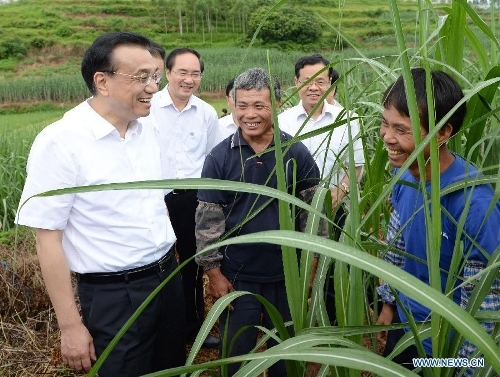 During a research tour to South China's Guangxi Zhuang Autonomous Region from Monday to Wednesday, Premier Li Keqiang pledged policy support to help stabilize growth and improve people's lives in this relatively underdeveloped region. 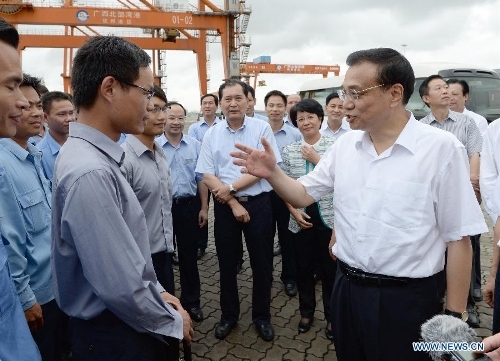 The three-day tour saw Premier Li visit ports, companies, plantations and villages, where he talked with local workers, businesses and farmers to better grasp the current economic conditions in the world's second-largest economy. Li urged the region to further open up to the outside to capitalize on the opportunities created during the ongoing industrial transfer from the east to the west. In a conference with small- and micro-sized enterprises, the premier pledged continuing policy support for them as their success, which would create a massive number of jobs, can facilitate China's economic growth and transformation. 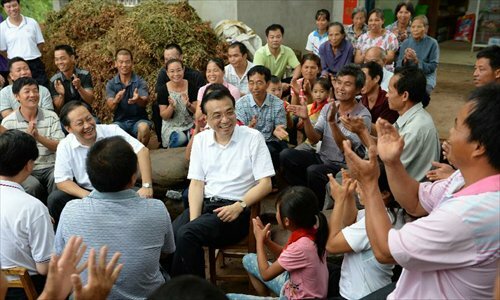 After talking with farmers and impoverished villagers, Li promised that the government will help them increase income and improve the infrastructure through various channels. During the research tour, he also visited local economic planning agencies to inquire about the effects of the government's move to transform functions. "The central government will continue to streamline administrative procedures and delegate powers to lower levels, and local authorities should also free up approval items in more sectors," Li urged.